The following honorees are creating some of the most innovative work in the PR industry today, and it's only going to get better as they progress in their careers. Here are the 2019 Women to Watch. 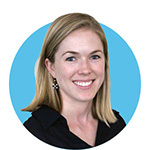 A champion for broader ecosystem narratives, Catherine Anderson has developed strong relationships with cutting-edge journalists — from award-winning healthcare reporters to up-and-coming technology writers — by crafting deeper feature pieces about how technology is changing healthcare. Anderson is a believer that grassroots efforts can deliver the right message to the right audience and that no story is too small to move the needle. 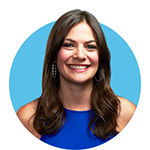 Her ability to determine the right audience, outlet, and moment to tell a story has been an asset at American Well, where her focus is two-fold: educating the public on new ways they can see a doctor and demonstrating the value of the brand and its differentiation in the market. By constantly monitoring the national and global dialogue around key health topics and assessing how to best position the brand within a much bigger story, Anderson developed narratives that resulted in more than 300 million views for tier 1 coverage this past year. She is also a champion of mentorship for female executives and works to pay it back and forward to lift the next generation of women in comms. Kara Arneson takes the "creative" part of her title seriously. 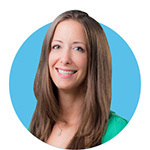 This comms pro has driven successful campaigns for brands including Miller Lite, Blue Moon, Coors Light, and Orbit Gum, and she has pushed clients far beyond traditional approaches with programs that prioritized social engagement, impacted brands' on-shelf presence, and even resulted in a full-length feature film. For Pilsner Urquell, Arneson proposed and drove an unbranded documentary film Brewmaster, which premiered to positive reviews at South by Southwest and is now streaming on Amazon and touring theaters. In 2018, following a senior leadership departure in the spring, she assumed day-to-day leadership of the MillerCoors account, the agency's largest, and steered it to record revenue. Co-workers say her greatest industry contribution may be her work as a mentor. "She fights for her people, pushes her teams, and preserves the culture that makes ICF Next so special," says one colleague. Others praise her "determination to provide meaningful opportunities and support to her teams," as well as her "killer blend of account service and management skills." 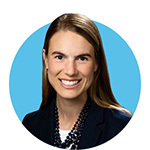 With a strong track record of directing clients through reputation management, CSR strategy, stakeholder engagement, and crisis communications, Katie Boshart ranks as a professional who remains poised and steadfast in high-pressure situations. Boshart had a pivotal role in helping a top H+K client win approval of one of the most historic telecommunications mergers in history, and was also integral in getting major telecomms legislation passed in the state of Texas. 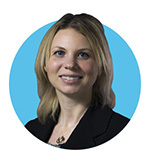 Working on a number of corporate war room teams, Boshart has shown an ability to continuously deliver critical competitive intelligence research and insights in a frenetic rapid response, high-stress setting — often lasting for long stretches of time — making her a huge asset to her agency. Colleagues say Boshart "brings a commitment to excellence and a determination to go above and beyond at every turn" and call her the "ultimate person that you want in your corner both personally and professionally." 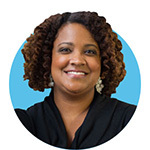 Whether it’s the work she has done to reduce STD infection rates among young women through the Know The Facts First campaign or mentoring young women at Spelman College, Carla Cartwright brings her all. Currently the lead on Porter Novelli’s Centers for Disease Control and Prevention’s National Center for Immunization and Respiratory Diseases account, Cartwright has centered her career around using commercial marketing approaches for societal good. One of her greatest contributions to PR has been her focus on increasing diversity in the field. Cartwright spearheaded Porter Novelli’s first diversity and inclusion committee and helped expand how the agency defines diversity. She also worked to develop a PR certificate program for students at historically black colleges and universities including Spelman College, Morehouse College, and Clark Atlanta University. To go along with her other duties, Cartwright served as a faculty member for the University of Georgia’s AdPR Academy, a program geared toward closing the diversity gap in the PR. At a behemoth such as Anheuser-Busch, it’s highly unlikely for a professional to be promoted four times in less than three years. For Rebecca Chen, it was just another goal accomplished. Chen has become one of the most innovative, creative, and strategic marketers across the entire company, known not only for pushing the boundaries of marketing in the beverage space and consistently exceeding expectations but also maintaining a friendly disposition and being a thoughtful colleague. For the Presidente Más Fuerte campaign, Chen spent time in the Dominican Republic learning about the local culture, engaging hundreds of consumers in qualitative research, and working with local musicologists to understand exactly what made Dominican music so special. The result was a perfectly executed campaign, with a campaign video that engaged millions across the internet. She also learned Spanish in order to better empathize with Dominicans in their native language. "Talk about commitment," said one colleague. 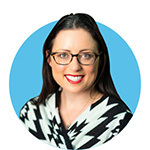 A consummate media relations professional who consistently garners top-tier media coverage for PayPal, Amanda Coffee built her reputation on consistently and attentively developing and deepening her numerous global media relationships through strong and deliberate programming. Coffee was part of the core team that led communications activities for the separation of eBay and PayPal in 2015. She was also responsible for the concept creation and execution of Dan Schulman's Never Stand Still Facebook Watch show and podcast that has featured guests including Fareed Zakaria, Joanna Coles, and David Solomon. Coffee manages global corporate media relations and executive visibility projects for the CEO and CFO, and supports 10 social media channels for PayPal and its executives. Committed to advocating for women in the industry, she championed PayPal’s 2018 strategic partnership with LeanIn.org for an Equal Pay Day series to advocate for equal pay for women. 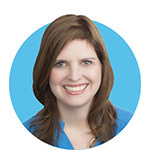 Over the course of her career, Nicole Dye-Anderson has helped transform PR initiatives with innovative techniques that drive business forward and impact the bottom line. 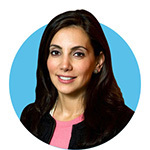 Under her leadership, the PR strategy at Barclays has been brought to the forefront of every product launch, announcement, conference, event, and strategic conversation. 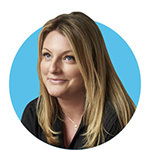 Colleagues credit her with "shaping the way the banking industry connects with media and tells our story to customers." Dye-Anderson was the first to introduce influencer marketing to the company. To celebrate the launch of Barclays’ Uber Visa, she orchestrated an unforgettable member experience trip for influencers to see the card’s value proposition come to life. The activation drove multichannel results and generated more than 130 Instagram stories. Not only are her external contributions impressive, but she has made significant strides to make Barclays a more diverse and inclusive company. 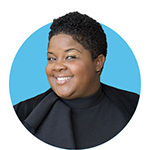 Dye-Anderson has served as an advocate for women, the LGBTQ community, and African-American colleagues at Barclays, and is a founding member and the current PR chair of Barclays’ Black Professionals Forum. With Atousa Ghoreichi at the helm, HMSHost’s PR and comms have become a benchmark for the industry. Ghoreichi's goal-oriented approach to marcomms has kept the department’s work a step ahead of the competition in the fast-paced restaurant and travel industries. Her impact extends beyond the marcomms functions to influence business development, sales, and organizational culture. Ghoreichi’s ideas drive progressive changes within the organization to meet the evolving needs of the business and traveling public. Her team has created innovative experiential marketing initiatives and collaborations with a global range of brands – including Coca-Cola, Starbucks, and the James Beard Foundation – restaurant leaders, and airport industry partners. The result is award-winning, public-facing campaigns that raise the bar, such as the annual Channel Your Inner Chef airport cooking competition at Chicago O’Hare; the health-forward dining pop-up kiosk program, Eat Well. Travel Further; a Valentine’s Day giant message board activation for travelers to express what love means to them; and the Veterans Day burger fundraising promotion with Budweiser. Lindsey Herzog is known as a true client advocate. A sought-after client counselor, Herzog has the ability to view situations from her clients’ perspective, allowing her to forge strong, trusting relationships with them and leading to recognition as the firm’s St. Louis office Client Counselor of the Year in 2018. Co-workers call her "collaborative, driven, creative, authentic, and approachable" and "a team player who isn’t afraid to roll up her sleeves and get the work done." 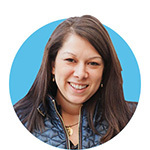 She’s also gained a reputation for creative, business-driving ideas that propel brands forward. 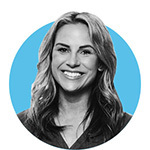 Her award-winning, record-setting campaigns include town takeovers for Bud Light’s Whatever, USA activation, the Bud Light House of Whatever campaign at Super Bowl XLIX, and the first Bud Light Factory experience at South by Southwest. Passionate about providing opportunities for young professionals, Herzog also supports Verizon’s AdFellows program, which introduces diverse young professionals to the marketing world through rotations at each of Verizon’s agencies, including Weber Shandwick. Tasked with helping the newly named Dine Brands Global reposition both internally and externally, Thien Ho created a campaign that changed the trajectory of the company's story. Once known as an organization struggling with challenges, the brand is now viewed as a successful growth company, with two healthy brands, Applebee's and IHOP, and even greater potential in the year ahead. Concentrating her outreach on the financial press, industry press, and analyst community, Ho persuaded influencers to take a second look at the company, and a spectacular 107% rise in the stock is proof of her success. Internally, Ho focused on changing Dine Brands’ culture to a high-performance, value-based culture with people at its center. She established a corporate social responsibilities agenda, including outreach to the community through charitable events and contributions, and is currently creating a Dine Brands Foundation to focus and drive the company's charitable giving. Driven by a passion for how technology improves lives and a belief that all brands should lead with purpose, Emily Horn is described by colleagues as a leader in her craft. 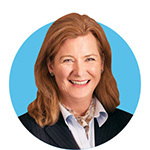 Her early career accomplishments include securing IBM’s first Fortune cover story on the company’s Smarter Planet initiative; landing Bernard Tyson, CEO of Kaiser, in New York Times’ Corner Office; and being part of the crisis comms team responsible for Hewlett Packard’s board-level pretexting scandal. At HP, Horn was instrumental in leading comms around HP’s efforts in sustainable impact and led integration and rollout of the company’s new framework internally and externally, elevating the company’s narrative to the CEO level and helping make it not only a corporate priority but also a business driver and differentiator for the company. Alongside UNICEF and Google, HP and the Clooney Foundation partnered to help provide education to thousands of refugee children in Lebanon, securing top-tier business and consumer coverage. Eden Lewis has come a long way since starting her career as a research assistant for author Douglas Dowd and a teaching residency at Duke University. 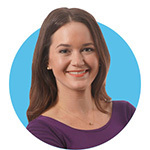 Lewis started her agency life at Jackson Spalding in Atlanta, where she worked for clients such as Delta, Chick-fil-A, and Orkin. Upon heading north to New York, she found a home in the nonprofit sector, where she ran the creative team for Organize, developing digital social tools to combat the organ donation crisis. 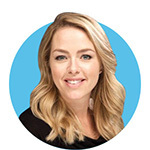 From there, she joined Edelman, where her work on behalf of the Kind Foundation is a hallmark of her career and a prime example of her socially conscious thinking. In 2017, Eden was instrumental in conceptualizing and bringing to life Pop Your Bubble, a social experiment and tool that connected users to people outside their typical world views. Her work on that project was recognized by Fast Company, One Show, and many others. During her tenure at Zeno, Amanda McGuire has made a significant impact on the growth of the firm’s business. With her contributions to organic business growth and new business, the Zeno corporate practice has doubled in size in the past three years. McGuire’s knack for identifying client barriers to business and her ability to tear them down ensures that agency work results in true business value. She single-handedly brainstormed, pitched, and sold in a multiyear global CSR campaign to Bernzomatic, including a first-of-its-kind partnership with Yellowstone National Park. For Scotts Miracle-Gro, McGuire executed the Water Positive platform on water quality leadership, launched SMG’s charitable foundation, and spearheaded the company’s most creative and successful corporate campaign in partnership with National Geographic that reinvented how the company views environmental marketing. She is also passionate about training tomorrow’s agency leaders and is part of the three-person team that created Zeno’s first management training program. 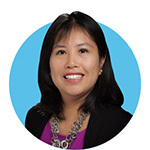 Christina Tso Metz has played integral roles and delivered solid results as a communications leader. Her work on KPMG national town halls consistently resulted in over 80% of employees citing KPMG as a great place to work for the past three years. Her contribution to the past two Partners’ Meetings resulted in favorable meeting feedback scores in the 80th and 90th percentiles. For her outstanding performance, she was nominated for the Chairman’s Award, the firm’s highest honor, which is based on peer nominations. 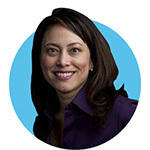 Metz is a strategic adviser to the employee process council and co-leads KPMG’s Network of Women, for which she co-designed the Lean In Circle program that resulted in several job promotions and women joining nonprofit boards. While at MetLife, Metz led M&A projects in Asia-Pacific, Latin America, and Europe, including the integration of the $16 billion Alico business, and launched a return-to-work program, helping individuals who took time off in their careers return to the workforce. Kirby Nardo’s tenacity, ability to stay nimble, and willingness to take risks has resulted in many wins for MillerCoors. Faced with the challenge of driving communications for the Miller Lite premium beer account, Nardo responded with a bold, competitive approach. She helped spearhead Miller Lite’s Know Your Beer program, holding unbranded taste tests nationwide and teaching more than half a million consumers how to evaluate beers by aroma, color, and taste. Overwhelmingly, consumers chose Miller Lite over Bud Light, and the brand has steadily claimed a larger share of the premium category since the program launched and has returned to growth overall, a major milestone. 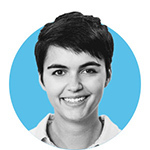 Her knack for thinking outside the general market and insisting brands take a polycultural approach to their marketing have led to pitches that are relevant to the brand and multicultural consumers, such as amplifying Latino programs and ensuring her agencies prioritize outreach to the LGBTQ community. 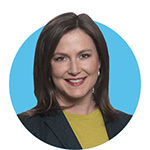 Bringing to bear her mastery of strategy, messaging, media relations, and crisis comms, Deirdre Murphy Ramsey delivers top-quality advice and products to some of the world’s foremost businesses, advocacy groups, and elected officials. Her work has enhanced and protected brands, and prepared top leaders for difficult public scrutiny. Along with her firm, she has navigated some of the toughest debates of our era. Ramsey has worked with clients across diverse industries, from rebranding sports teams to improving reputations across the technology, entertainment, and energy sectors, and devising campaign-style advocacy strategies to drive message and action. Her leadership helped a sports and entertainment client position a new arena as the most technologically advanced and sustainable arena in the world, earning the client more than $81 million worth of media. Prior to her private sector work, she was part of the communications team that won back the Senate for Democrats in 2006, and has worked with Senate leadership on crafting and implementing communications plans to reach and touch constituents in their states and across the country. Molly Rauzi started her career in a helicopter hangar working on the V-22 program for a defense contractor. She rose through the ranks to become Denver International Airport’s director of technology and was a member of the management team leading the airport through the 9/11 crisis. She worked tirelessly to ensure airport communications with airlines, media, public officials, and local and federal law enforcement were not interrupted. Moving on to work for Denver’s mayor, Rauzi created the city and county’s technology strategy, launched a new shared services organization, and established a governance process to support a $25 million technology project portfolio, including technology support for the 2008 Democratic National Convention. At Gagen MacDonald, Rauzi helps organizations create powerful, secure systems to execute their strategies. Her insights have helped numerous companies ready their workforces and support their culture change initiatives to accommodate new technologies and organizational systems. Her ability to get things done in complex environments and experience leading large, multifaceted client engagements make her a highly sought-after consultant. A background in reporting and media savvy and a "nose for news" have been a strong foundation for Melissa Rieger’s success at Havas PR. For LivaNova, Rieger worked hard to build relationships, and her efforts paid off, with 129 placements last year, including coverage in People and Medscape. Since she took the lead on that business, the account has increased nearly five times the targeted revenue. Her work on the MilliporeSigma account resulted in 171 media placements for the 2018 tour of the company’s Curiosity Cube, a retrofitted shipping container-turned-mobile science lab, which won several PR awards. She has helped the Gout & Uric Acid Education Society more than double donations and increased media visibility an impressive 131% in just one year for Transitions Optical. Her focus on mentoring junior staff and others through her volunteer efforts is admirable and serves as an example to her colleagues. Shruti Sehgal has been central to BerlinRosen’s exponential growth over the past five years. 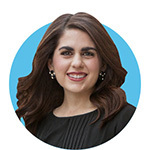 Since her first days at the firm, Sehgal has been a leader in client services, business development, and marketing, swiftly moving her up the ranks and helping lead the firm’s rapidly expanding tech practice, one of the its fastest growing sectors. 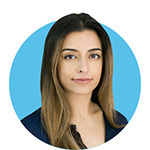 She recognized the potential for BerlinRosen to become a leading tech firm well before there was a dedicated practice and helped build the firm’s issue expertise areas within tech, specifically in fintech, women and people of color in tech, the future of work, and smart cities. Her smart and strategic campaigns for major companies and institutions have attracted dozens of new clients and significantly impacted the firm’s bottom line. Key projects and wins include helping develop comms strategy and launch of more than two dozen Samsung products, assisting with the revamp of Citi’s mobile apps and its digital transformation, and advising General Assembly through its acquisition by the Adecco Group. Caroline Sherman began her career in brand PR but has expanded her expertise across crisis, media, change management, strategic business communications, and more. Along the way, she created some of the industry’s most creative PR work on brands such as Orbit, Extra, Starburst, and Skittles. 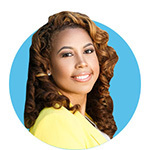 She played a key role in establishing Skittles’ influencer strategy, which elevated the brand’s organic connection to celebrities and led to a sales surge that made Skittles the top-selling, non-chocolate confections brand for the first time. Currently leading a global revamp of two purpose-driven global brands, Uncle Ben’s and Seeds of Change, Sherman helped drive the Ben’s Beginners platform, focused on helping families cook together and eat healthier. The effort raised more than $1 million for schools and families nationwide. Recently, the brand’s partnership with schools to offer students "homework passes," which allow them to cook with their families as a homework alternative, received broad national attention. 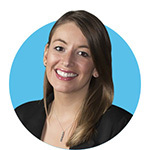 In the past five years, Rachael Siefert has transformed APCO’s North America digital team from a part of the DC creative group to a regional team of digital strategists who serve the globe. 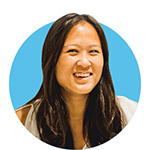 She has earned a reputation as a driving force behind award-winning digital strategy. Notable accomplishments include leading the efforts to win a multimillion-dollar digital advocacy account; strategizing and executing on digital engagements for a presidential library leadership program; building the foundation for the research to inform a micro-targeted advertising effort for Honda; and managing large integrated advertising efforts for pressing Inside the Beltway issues for clients such as America’s Health Insurance Plans (AHIP). Her work with the Nuclear Energy Institute to develop champions and advocates for Nuclear Matters identified, engaged, and mobilized nearly 50,000 key target advocates to take action and has increased monthly Facebook engagement by 495% in less than two years. The coalition now boasts a 600,000-strong online community, and her approach has become a model for how APCO builds and sustains online communities. While D&I isn’t a part of her job function and she’s not a member of the HR team, Gabrielle Simpson has effected change on global culture and inclusion positioning throughout her career. At FCB she helped launch the pivotal #CreativityinColor movement as a centralized way to champion diversity, not only within the agency but industrywide. She led the PR launch of this initiative at Cannes Lions 2017 to celebrate people of color in marketing and advertising. Simpson also led the development of meaningful network-wide social media campaigns at FCB in honor of Black History Month, Women’s History Month, and Asian American and Pacific Islander Heritage Month, giving a platform to FCB employees of all races and genders from around the world to share what these months mean to them. 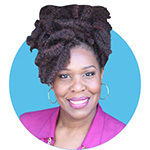 The youngest person and first black woman to hold her role at Barnard College, Simpson also serves as an adjunct professor at New York University and College of New Rochelle, where she teaches a range of PR and comms courses. Colleagues say Janet Smith is "capable of promoting anything handed to her." In the music industry, she crafted marketing campaigns that garnered gold and platinum RIAA certifications for well-known musicians. Transitioning to consumer goods, Smith brainstormed events and activations for Red Bull, including Red Bull EmSee, a battle-rap series to find the best freestyle rappers in the country. The activation drew national attention and caught the eye of music star Eminem, who became the national tour’s spokesperson. In her current role, Smith creates unique ways to tell the Atlanta Hawks brand story and engage with fans. She masterminded an exhibition of the work of Scott Cunningham, team photographer for 40 years, as well as the first on-the-court wedding of two fans who met at the Hawks’ Swipe Right promotional night. Smith was integral in handling PR for the transformation of Philips Arena into State Farm Arena, including four media tours, a naming rights press conference, and the hiring of an executive chef. The project resulted in national stories and multiple Atlanta Journal-Constitution front-page articles. From public policy to entertainment and now technology, Anna Soellner’s work has touched a diverse range of sectors and people. Fearless and creative from the start, Soellner began her career ghostwriting op-eds and arranging high-profile meetings between heads of state and Martin Lee, then chairman of the Hong Kong Democratic Party in post-handover Hong Kong. During her tenure at the Center for American Progress (CAP), she helped the organization evolve into one of the most cited think tanks in the U.S. and promoted CAP’s public policy initiatives, including the Affordable Care Act and the fight for marriage equality. At Reddit, Soellner’s comms team has handled numerous high-profile issues during a time of extreme public focus on social media and distinguished Reddit from its peers by pushing for real transparency. She also initiated Reddit’s involvement with the Anti-Defamation League’s Center for Technology and Society. In her free time, she cofounded a nonpartisan super PAC and get-out-the-vote effort called My Ride To Vote, which funded ride-sharing to the polls for underrepresented communities. Sarah Spagnolo was at the front of the lines to transform the perception of Foursquare from a consumer check-in app to a leading location technology enterprise company. She was instrumental in crafting the manifesto that defined the company’s identity. Bringing the company’s comms team and data analysts together, she launched the Foursquare Data Stories initiative, which provided data stories on consumer foot traffic trends and predictions. Foursquare famously predicted Chipotle’s sales would drop approximately 30%, a forecast that resulted in top-tier business coverage and a business win from Chipotle that Foursquare had been chasing for years. The group also successfully predicted Apple’s iPhone launch sales based on foot traffic. She led the company to join the fight to save net neutrality and spearheaded a coalition of technology industry leaders to create the Campaign to Save the Internet ad campaign. A champion of setting the bar high on privacy and protecting consumers, Spagnolo also launched Foursquare’s internal tech ethics committee, which ensures the company’s technology is used in a way that protects users and their privacy. CJ Stanley has been instrumental in taking Spotify from a small Swedish startup to a giant in the worldwide music, tech, and streaming space. With an eye on keeping the brand globally integrated, she has reimagined the comms’ role and pushed her team to look for creative and strategic ways to further Spotify’s global mission. Her team has launched some of the brand’s most memorable and impactful campaigns, from managing the annual marquee activation at the Grammys to spearheading partnerships with Fortune 500 companies Google, Hulu, Xbox, and Samsung. For the brand’s popular Wrapped campaign, her team married Spotify-driven data and storytelling to bring users’ listening habits to life, engaging thousands of fans and dozens of top artists, including Tyga, Pharrell Williams, and Calvin Harris. Colleagues say Stanley’s "natural skill for consumer communications" and "hard work and creativity" allow Spotify’s campaigns to shine. "We couldn’t tell Spotify's most important stories without her," says one fan. Esther Mireya Tejeda could be radio’s best friend. Her vision, strategy, and execution of Entercom’s rebranding campaign spurred a business renaissance for radio media and placed Entercom at its helm. While building Entercom’s first communications practice and executing a strategy to support its $2.4 billion acquisition of CBS Radio, Tejeda was charged with rebranding the organization and putting radio back on the map. With no budget and no agency of record, she delivered. Tejeda led an unprecedented campaign challenging influential publications that had written off radio as a dying business to reconsider investing. Strategic ads designed to disrupt the media buying process got the attention of major advertisers, and a number of them, including Proctor & Gamble, Home Depot, and PepsiCo, have bought into radio, driving incredible ROI for Entercom and the industry. In the process, Tejeda fought for and earned a seat at the table for comms and PR at Entercom, securing the buy-in to launch an in-house PR agency. Doubling her department in size underscored the company’s newfound commitment to PR as a valuable and essential part of its business model. McKenzie Terry may not be a Qualtrics employee, but her client views her as an integral part of the company’s PR team whose work is "so dedicated and personalized that it is easy to think we are her only client." It’s a view many of her clients share. For Qualtrics, Terry gained "the utmost trust and respect from our CEO, Ryan Smith, and our entire C-suite" for using data to create business insights that have helped the company broaden its brand beyond the tech sector, establishing its CEO as the thought leader in experience management, and assisting with the comms strategy and execution of the company’s $8 billion acquisition to SAP. Terry also helped elevate recognition of Qualtrics annual X4 Summit into an event that reaches far beyond industry borders, drawing high-profile reporters and netting continuing coverage in national publications. When Terry joined Method, the agency had no formal internship program or training regimen for interns. Terry now oversees a robust internship program and worked with department heads to craft onboarding training materials for interns.